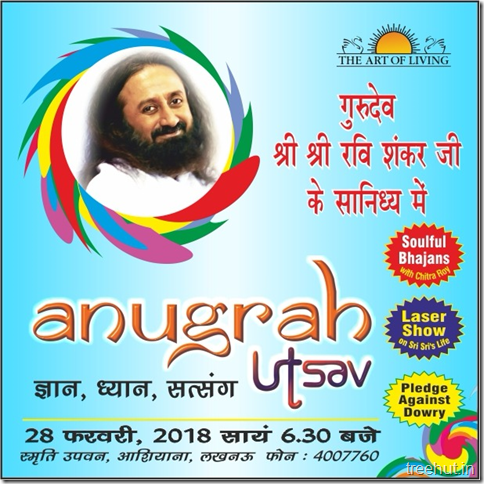 Gurudev Sri Sri Ravi Shankar ji will be culminating his Om Anugrah Yatra in Lucknow, Uttar Pradesh with a beautiful evening called Anugrah Utsav. 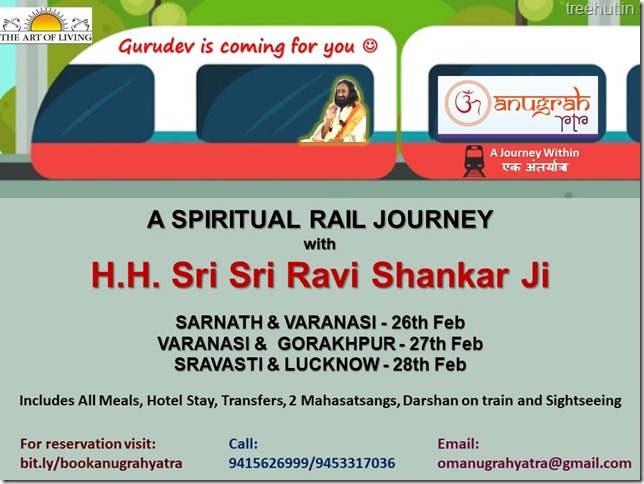 Om Anugrah Yatra, a Blessed Journey with Gurudev Sri Sri Ravi Shankar ji. 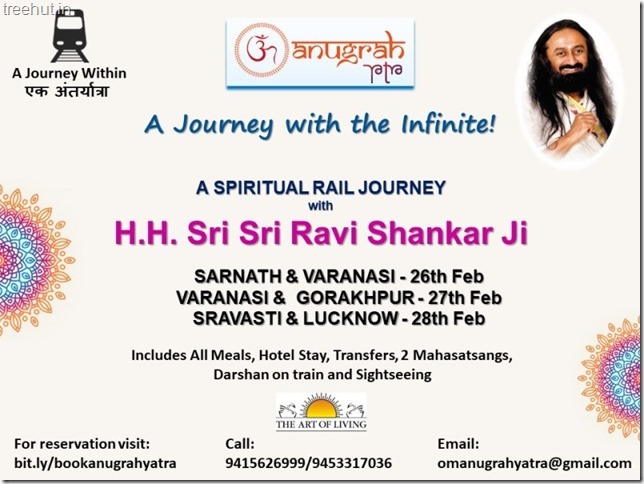 Om Anugrah Yatra, is a Spiritual Train Journey with Gurudev Sri Sri Ravi Shankar ji. Come and soak in the blessings of the Master.